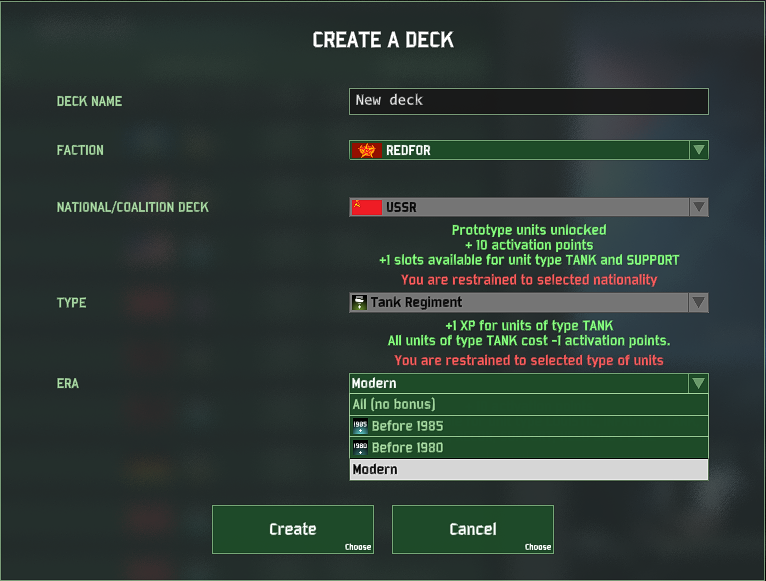 Updated guide on creating new deck specializations in the Modding Suite. 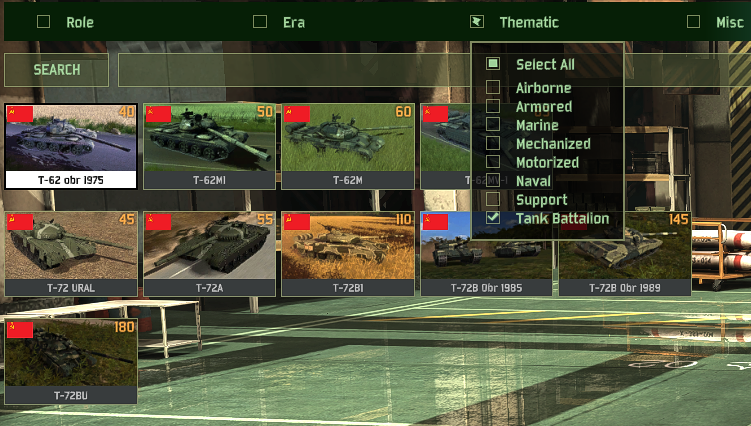 This assumes a basic knowledge of the Modding Suite and folder structure of Wargame, but don't hesitate to ask if you need more specific instructions. When creating a new deck using your new specialization or CAT, you may crash when switching back and forth between filters. 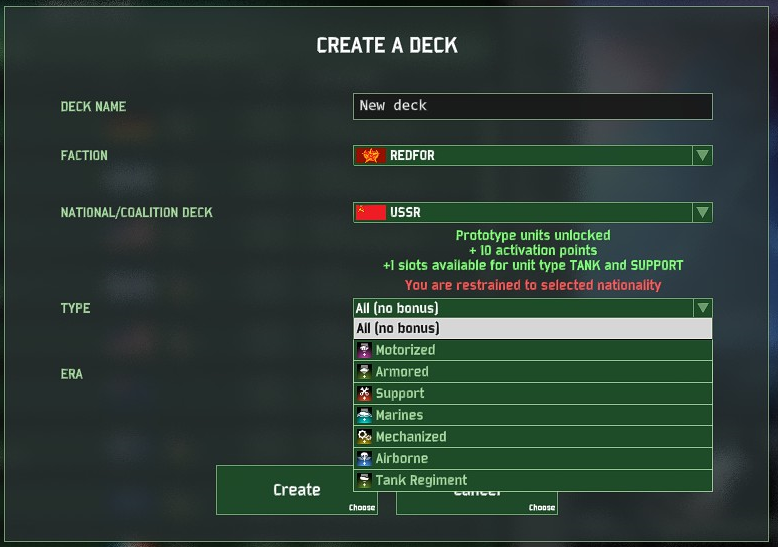 Avoid this by canceling "Create A Deck" and start again. This happens because the game is trying to apply your new CAT or specialization to a nation that does not use it. Last edited by Sireyn on Fri 21 Sep 2018 17:51, edited 1 time in total. Might I suggest you post the full addresses? Just it confused me, and maybe confirm that the NDZX is the one in the folder above the first step? What the second drop box is supposed to be saying in step 3 could also be clearer. Just um, saying cos, I'm honestly not sure. Sorry, I am kinda dumb. Also this needs sicked in the guide thread. The game certainly isn't intuitive to mod, so it can be unintuitive to explain. After hundreds of hours in the modding suite, sometimes I forget certain details. Step 3 is the same idea for each set of instructions. Here in the Modding Questions thread, I have posted pictures explaining this step. The only difference is that you are using the ModifiersForUnitCategory instead of ModifiersForUnitType. I've edited the instruction for, hopefully, better clarity.